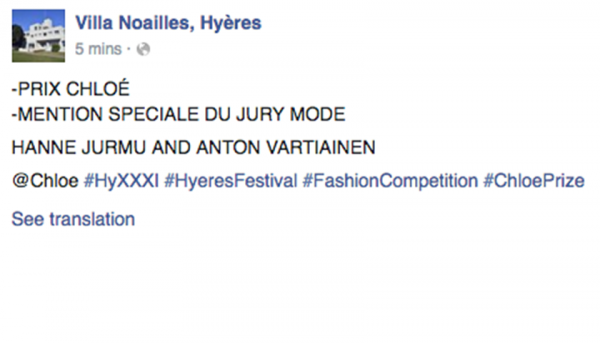 Aalto students Hanne Jurmu and Anton Vartiainen win Jury’s Special Mention and the Chloé Prize at Hyéres Fashion Festival with their collaborative collection. Following the success of Aalto designers in recent years, Hanne Jurmu and Anton Vartiainen win two prices at this year’s Hyéres Fashion Festival with their collaborative menswear collection. The duo won both the Jury’s Special Mention and the Chloé Prize at the festival, which is considered one of the most notable competitions for the fashion industry. More information here.